We use methane or compressed natural gas (CNG) as fuel in vehicles instead of petrol or gas oil. Vehicles running on methane are environmentally friendly, since they produce less harmful emissions, do not form solid particles and cause less noise. Costs and fuel consumption are lower, the engine and catalytic converter have a longer lifespan. Why is it good to drive a natural gas vehicle? The technology in modern methane-fuelled vehicles produces considerably less harmful emissions and reduces fuel consumption. In Europe, more than 2 million vehicles already run on natural gas, which is about 0.5 percent of all vehicles. The objective of the European Union is to increase this proportion to 5 percent by 2020. 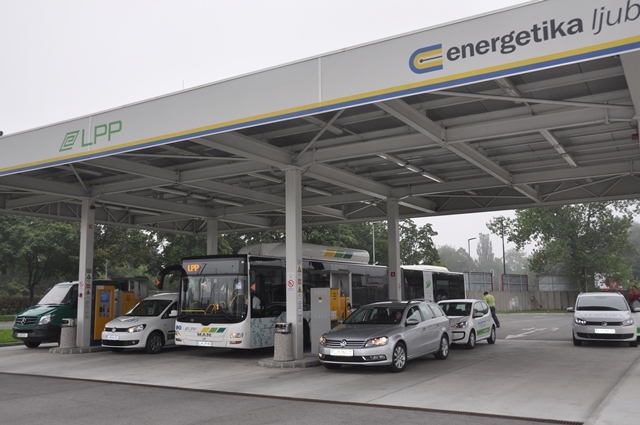 Growing tourism contributes greatly to the increased use of filling stations, which is why Energetika Ljubljana is already planning to set up additional stations. Energetika Ljubljana, ENOS d.d. 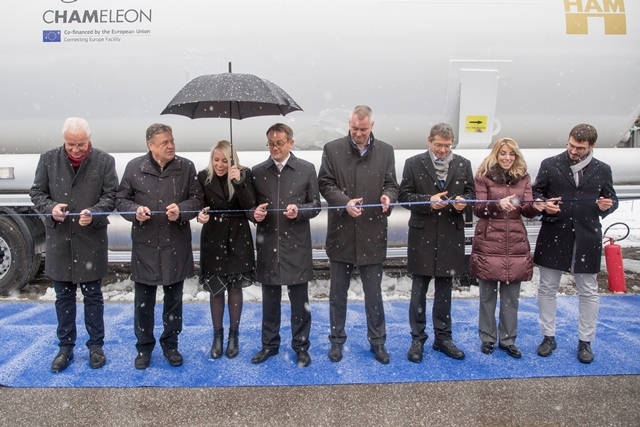 and HAM Group from Spain opened the first LNG refuelling station in Slovenia in November 2017. The station is located in the Slovenian capital, Ljubljana, at the intersection of two European arterial roads. The project is a collaboration between Energetika Ljubljana, Slovenian LNG producer Enos LNG and Spanish construction company HAM Group. 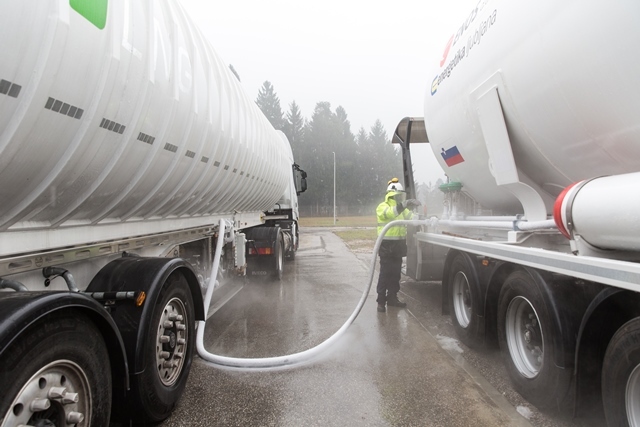 The LNG mobile station is part of the cHAMeleon project, funded by the European Commission, through the Executive Agency for Innovation and Networks (INEA), to boost the implementation of the LNG refuelling infrastructure network in the European Union and promote the growth of the LNG market in the road transport sector. Zoran Janković, Mayor of Ljubljana, Sofia Papantoniadou, representative of INEA (Innovation and Networks Executive Agency), Klemen Potisek, Secretary of the Ministry of Infrastructure, ENOSLNG and ENERGETIKA representatives, HAM engineers and managers were present at the inauguration of the LNG mobile station on November 30th, 2017.